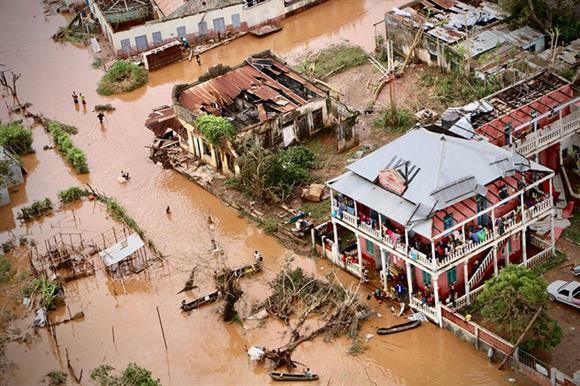 The Disasters Emergency Committee has launched a fundraising appeal to help victims of Cyclone Idai, which has devastated Mozambique, Malawi and Zimbabwe. The BBC, ITV, Channel 4, Channel 5 and Sky are broadcasting appeals today on behalf of the DEC, which represents 14 major UK aid agencies, including the British Red Cross, Oxfam GB and Save the Children UK. So far about 500 people are confirmed dead and 400,000 have lost their homes as houses, roads and bridges have been ripped apart and land flooded. A DEC spokeswoman said: "The full scale of the disaster is still unfolding as search-and-rescue operations continue and more heavy rain is predicted. "The UN predicts that this could become one of the worst weather-related disasters on record in the southern hemisphere." This is the first DEC appeal since the Indonesia tsunami appeal, which opened in September last year and has so far raised £28m. Other recent DEC appeals for natural disasters have included the east Africa crisis appeal in 2017 and the Nepal earthquake appeal in 2015, which raised £66m and £87m respectively. The Department for International Development will again match UK public donations up to the value of £2m through its Aid Match scheme. The scheme has operated at DEC appeals since the 2013 Philippines typhoon appeal. "This will double the impact of the public’s own donations and ensure that charities working on the ground can reach the men, women and children who have been left homeless and are in urgent need of food, water and temporary shelter," the spokeswoman said. Donations can be made at dec.org.uk or on 0370 60 60 610.